06:30: arriving at Lao Cai Railways station, welcome and transfer to Sapa. Breakfast at hotel. Check in up on availability. Take a short rest then we first sneak through the Sapa market and leave the busy town behind. 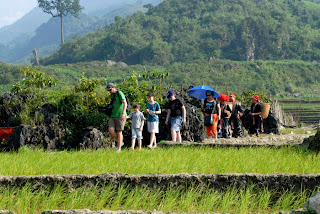 The walk commences from Sapa on a trail running through the beautiful gardens and lush pine forests. 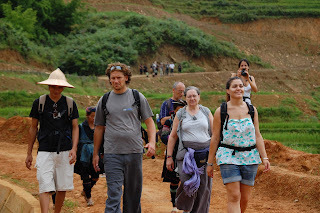 We will then pass through the Black Hmong ethnic minority village of Matra, a very small village hiding way from the civilisation. 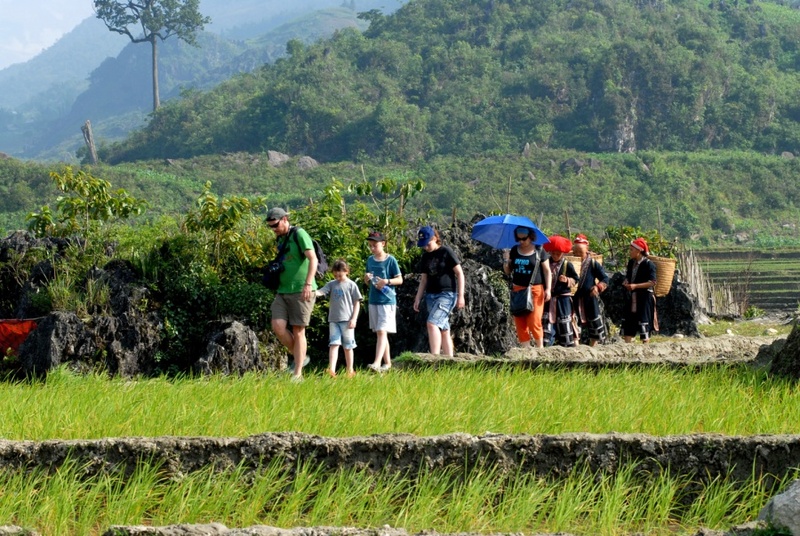 The walk continues through rice paddy fields and spectacular scenery. During the day we will also be able to visit a local school. Enjoying our lunch before arriving at the Taphin village. Here we can hear about the unmixed cultural life of Black Hmong and Red Dao minorities, 2 largest ethnic groups in the area. 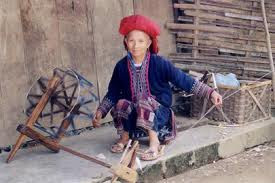 We can already recognise them by dressing while they are both very famous of handicraft; walking among local people. Then we transfer back to Lao Cai for our night tratin to Hanoi. Overnight on train.